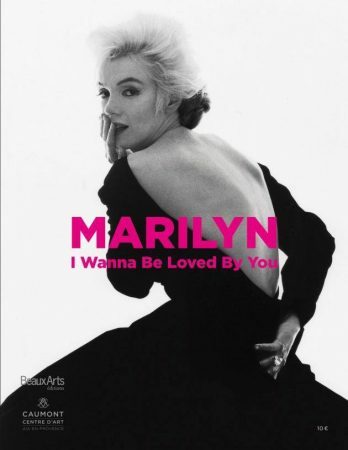 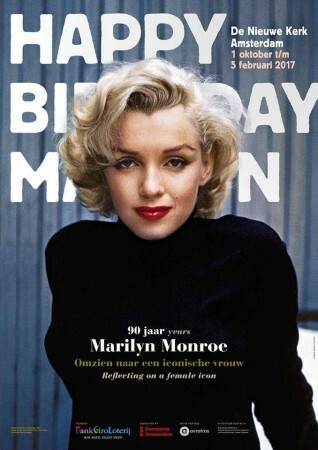 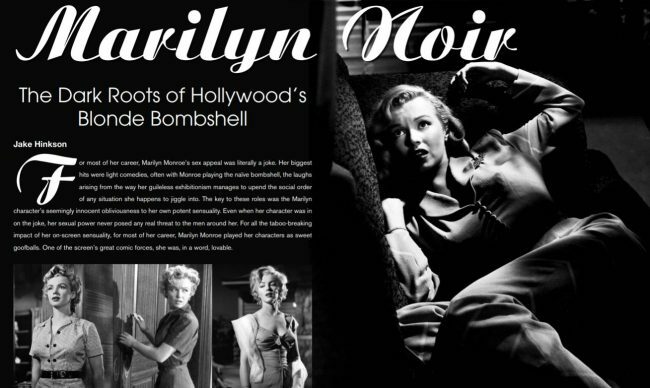 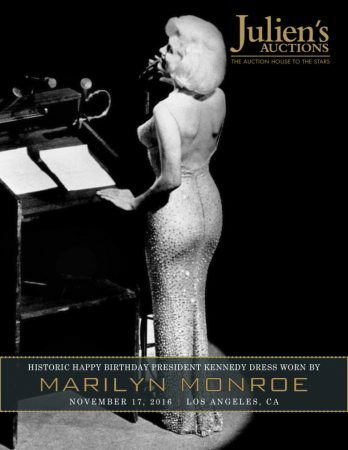 Marilyn is the latest cover girl for Noir City, a digital quarterly published by the Film Noir Foundation. 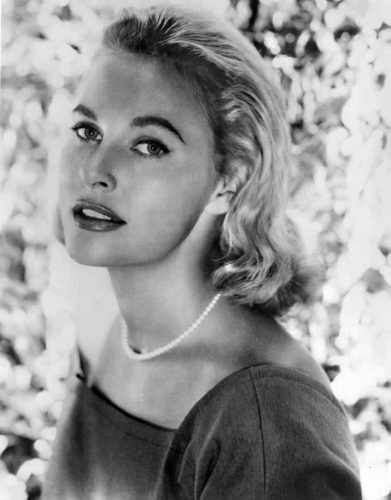 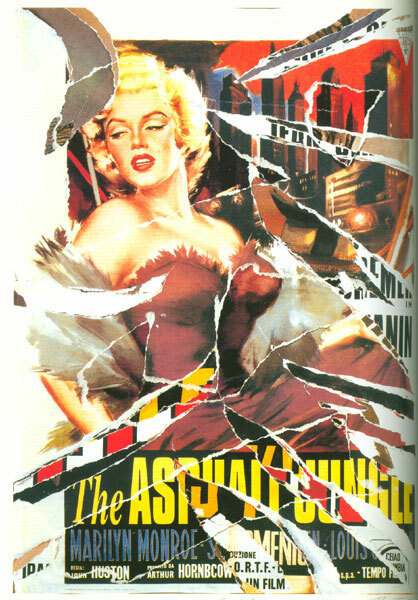 Inside, there’s an eight-page illustrated article, with Jake Hinkson analysing her diverse roles in The Asphalt Jungle, Clash by Night, Don’t Bother to Knock and Niagara. 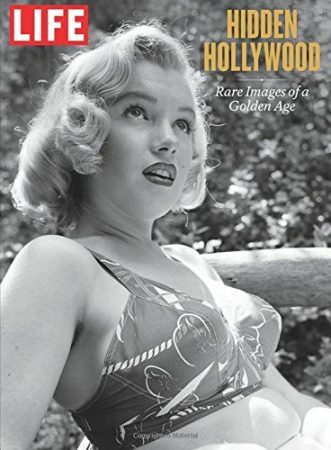 Fellow bombshells Diana Dors and Gloria Grahame are also profiled in this issue. 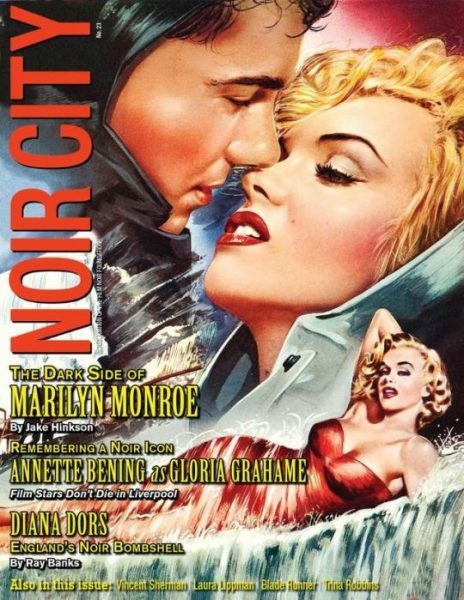 To subscribe to Noir City, join their mailing list and donate $20 or more to the foundation, who host regular screenings across the US and a yearly film festival, and also publish an annual print round-up of the best features. 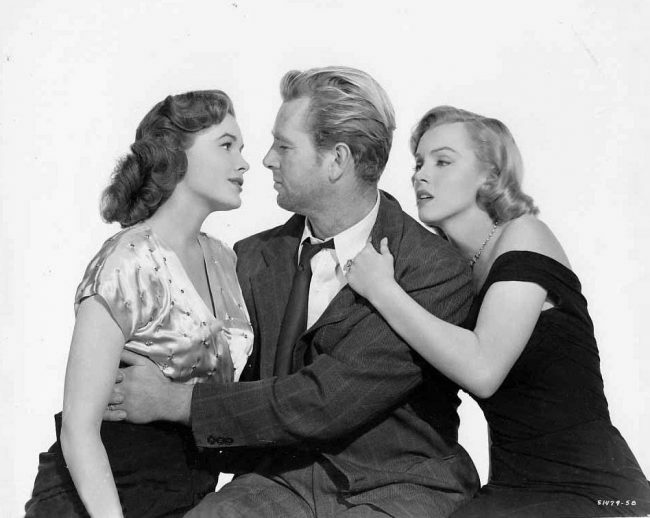 The Asphalt Jungle will be screened today at the Bainbridge Public Library in Washington State at 7 pm, reports the Bainbridge Island Review. 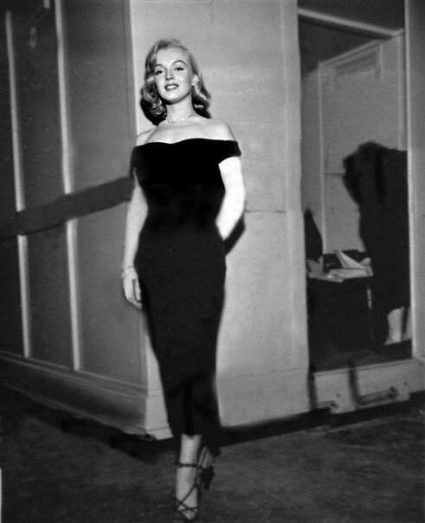 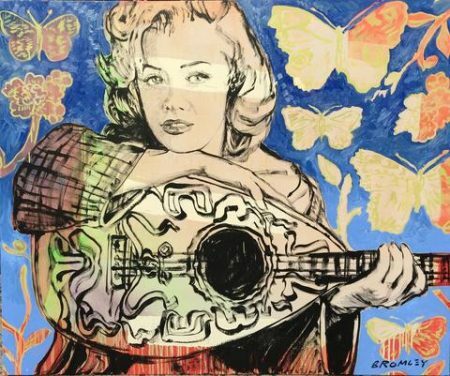 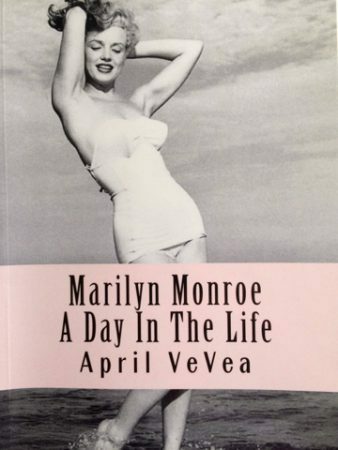 “The Asphalt Jungle is not exclusively the domain of men; it also possesses the screen debut of Marilyn Monroe, who plays Alonzo’s mistress, Angela. 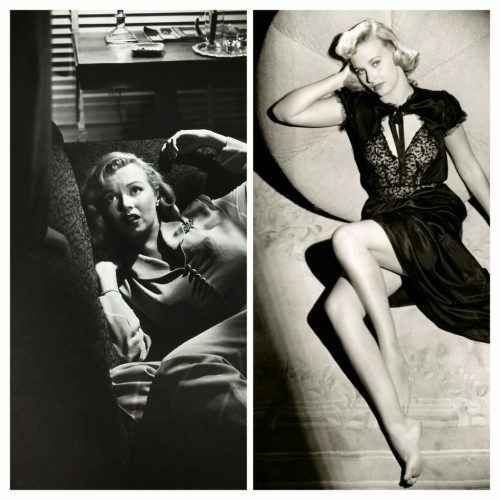 [John] Huston introduces Monroe, who lies lazily on a couch, with a carefully staged shot in which Alonzo (Louis Calhern) gazes down at her from above. 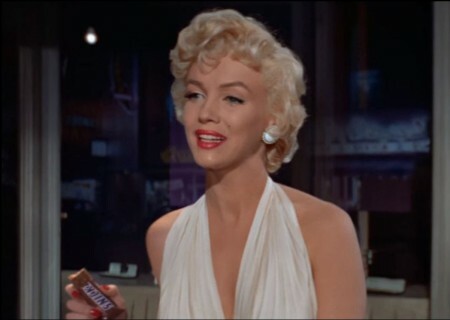 Angela’s demeanor and visage are pure Monroe — innocence mixed with seduction. 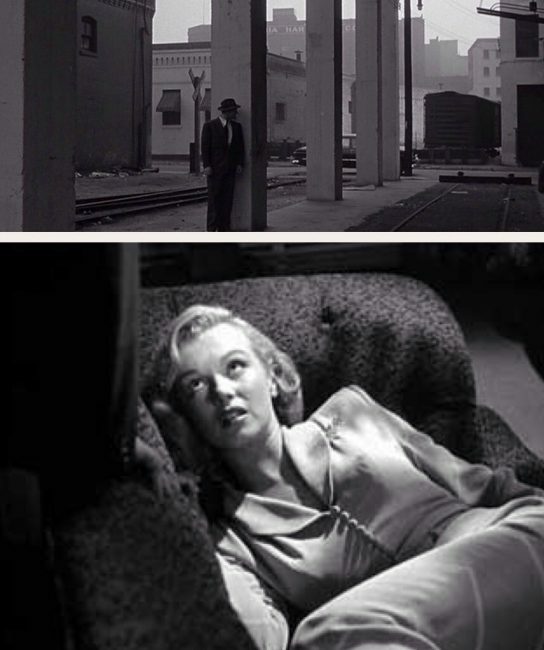 One of Marilyn’s finest early films, The Asphalt Jungle, will be screened at 11am this Sunday, October 29 at Harkins 16 Multiplex, as part of the 2nd annual Flagstaff Film Noir Festival, presented by movie historian Foster Hirsch in Arizona. 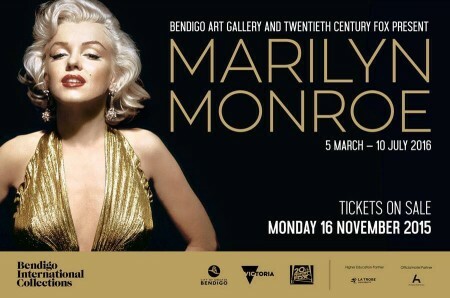 Tickets cost $10 per film, or $60 for an eight-film pass. 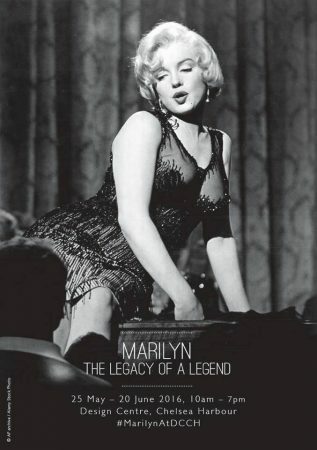 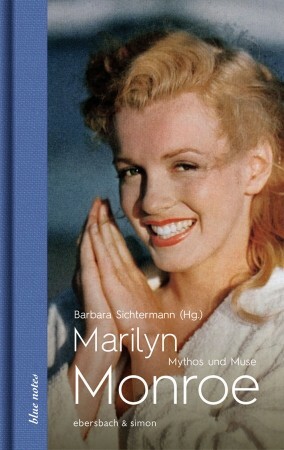 Film historian and ‘Noirchaeologist’ Eddie Muller has placed The Asphalt Jungle – John Huston’s 1950 heist movie, which gave Marilyn her first important role – fourth in his list of ’25 noir films that will stand the test of time’ (ahead of The Maltese Falcon and Double Indemnity), reports Open Culture.